Famed Watergate reporter Bob Woodward criticized CNN on Tuesday for the network’s lawsuit against the Trump administration after the revocation of Jim Acosta’s press pass. 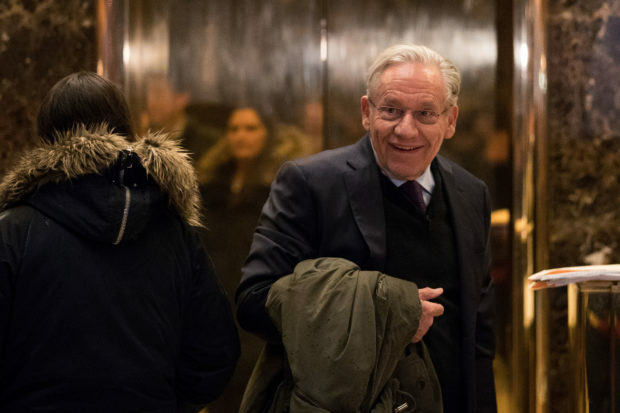 Woodward blasted the lawsuit during a Global Financial Leadership Conference in Naples, Florida, according to NBC media reporter Dylan Byers. Woodward accused CNN of taking Trump’s bait, adding that the solution to Trump’s attacks on the media is more “serious reporting” as opposed to a lawsuit. After asking several questions and follow-ups, Acosta refused to surrender the microphone to a White House intern and used his arm to prevent her from taking the microphone away while he debated with the president. The White House Correspondents’ Association released a statement Tuesday supporting CNN’s goal of getting the White House to reinstate Acosta’s press pass.